The Two Stroke Register caters for all two stroke-engined SAAB's including the models 92, 93, 95 and 96. The Register aims to keep interested members informed of surviving examples of these cars, as well as information regarding parts availability, maintenance advice and details of specialist restorers/rebuilders, of these early SAABs. Articles covering these aspects appear in the bi-monthly club magazine 'SAAB DRIVER'. 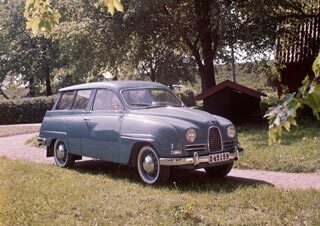 Wider-ranging interests are catered for as the Register also covers the history of the SAAB company, with a specific focus on the rallying heritage of the marque. Links with SAAB clubs in, particularly, Sweden and the USA are being maintained and expanded.